For a complete list of publications and papers available for download visit Francesca Ghisetti page on Research Gate. Ghisetti, F. (2000) - Slip partitioning and deformation cycles close to major faults in southern California: evidence from small-scale faults. Tectonics, 19, 25-43. Ghisetti, F., Kirschner D., Vezzani L. & Agosta F. (2001) - Stable isotope evidence for contrasting paleofluid circulation in thrust faults and normal faults of the central Apennines, Italy. Journal of Geophysical Research,106, 8811-8825. Ghisetti F. & Vezzani L. (2002) - Normal faulting, extension and uplift in the outer thrust belt of the central Apennines (Italy): role of the Caramanico fault. Basin Research, 14, 225-236. Ghisetti F. & Vezzani L. (2003) - Plio-Pleistocene sedimentation and fault segmentation in the Gulf of Corinth (Greece) controlled by inherited structural fabric. C.R. Geosciences, 336, 243-249. Ghisetti F. & Vezzani L. (2005) - Inherited structural controls on normal fault architecture in the Gulf of Corinth (Greece). Tectonics , 24, doi:10.1029/2004TC001696. Ghisetti F., Gorman A. & Sibson R. (2007) - Surface break-through of a basement fault by repeated seismic slip episodes: the Ostler Fault, South Island, New Zealand. Tectonics , 26, TC6004, doi: 10.1029/2007TC002146. Campbell F.M., Kaiser A., Horstmeyer H., Green A., Ghisetti F., Gorman A. R., Finnemore M. & Nobes D.C. (2010) - Processing and preliminary interpretation of noisy high-resolution seismic reflection/refraction data across the active Ostler Fault zone, South Island, New Zealand. Journal of Applied Geophysics, 70, 332-342. Green A.G., Campbell F.M., Kaiser A.E., Dorn C., Carpentier S., Doetsch J.A., Horstmeyer H., Nobes D., Campbell J., Finnemore M., Jongens R., Ghisetti F., Gorman A. R., Langridge R.M. & McClymont A.F. (2010) - Seismic reflection images of active faults on New Zealand's South Island. 4th International Conference on Environmental and Engineering Geophysics, Chengdu, China, June 2010. Campbell F.M., Ghisetti F., Kaiser A.E., Green A.G., Horstmeyer H. G, & Gorman A. R. (2010) - Structure and evolution of the seismically active Ostler Fault Zone (New Zealand) based on interpretations of multiple high resolution seismic reflection profiles. Tectonophysics, 495, 195-212. Ghisetti F.C. & Sibson R.H.(2006) - Accommodation of compressional inversion in north-western South Island, New Zealand: Old faults versus new? Journal of Structural Geology , 28, 1994-2010. Ghisetti F., Gorman A., Grasso M. & Vezzani L. (2009) - Imprint of foreland structure on the deformation of a thrust sheet. The Plio-Pleistocene Gela Nappe (southern Sicily, Italy). Tectonics, 28, TC4015, DOI:10.1029/2008TC002385. Ghisetti F.C. & Sibson R.H. (2009) - Modulation of the Westland foredeep through ongoing compressional inversion. Geosciences Conference, Oamaru, New Zealand. Festa A., Pini G.A., Dilek Y., Codegone G., Vezzani L., Ghisetti F., Lucente C.C. & Ogata K. (2010) - Peri-Adriatic melanges and their evolution in the Tethyan realm. International Geology Review , 52, 369-403. Vezzani L., Festa A. & Ghisetti F.C. (2010) - Geology and Tectonic Evolution of the Central-Southern Apennines,Italy . Geological Society of America Special Paper, 469, 58 pp. 1 accompanying CD-ROM with geological maps at scale 1:250,000. Ghisetti F., Sibson R.H. & Hamling I. (2016) - Deformed Neogene basins, active faulting and topography in Westland: Distributed crustal mobility west of the Alpine Fault transpressive plate boundary (South Island, New Zealand) Tectonophysics , DOI:10.1016/j.tecto.2016.03.024 . Ghisetti F.C. (2005) - Structural Analysis of the Dean Prospect,Waiau Basin, Southland (New Zealand). Ministry of Economic Development-Crown Minerals, Petroleum Report Series, PR3143, 27 pp., 8 Plates. Ghisetti F.C. (2005) - Structural Analysis of the Upukerora Anticline and Danby Hill Leads in the Regional Framework of the Te Anau Basin (Southland, New Zealand). Ministry of Economic Development-Crown Minerals, Petroleum Report Series , PR3358, 51 pp., 8 Plates. Beggs J.M. & Ghisetti F.C. (2006) - Transpressional structures in Western Southland Basins. New Zealand Petroleum Conference Proceedings, March 2006, Auckland. Ghisetti F.C. & Beggs J.M. (2007) - Integrated Fieldwork and Seismic Interpretation of MB87-02, Te Wiriki Anticline, PEP38523, Murchison Basin. Ministry of Economic Development-Crown Minerals, Petroleum Report Series , PR3977 , 31 pp., 11 Plates. Ghisetti F.C. (2007) - Structural Analysis and Seismic Interpretation - Murchison Basin (PEP38523). Ministry of Economic Development-Crown Minerals, Petroleum Report Series, PR3978 , 33 pp., 14 Plates. Beggs J.M., Ghisetti F.C. & Tulloch A.J. (2008) - Basin and petroleum systems analysis of the West Coast region, South Island, New Zealand. PESA Eastern Australasian Basins Symposium III, September 2008, Sydney. Ghisetti F.C. & Beggs J.M. (2008) - Structural Evolution and Petroleum Systems of the Murchison Basin. Geosciences 2008, Wellington. Ghisetti F.C. (2010) - Structural Analysis of the Great South Basin (PEP 50119, 50120, 50121). Ministry of Economic Development-Crown Minerals, Petroleum Report Series, PR4173 , 104 pp., 15 Plates (downloadable from http://nzpam.govt.nz). Ghisetti F.C. (2013) - PEP51558 2D and 3D Structural Analysis and Retro-deformation of the Parihaka Fault System in the Mensa Prospect. Ministry of Economic Development-Crown Minerals, Petroleum Report Series, PR4843 , 59 pp., 21 Plates (downloadable from http://nzpam.govt.nz). Ghisetti F.C. (2013) - 2D Structural Analysis and Retro-deformation of the Cape Egmont Fault System in the PEP 53374 (Opunake) Area. Ministry of Economic Development-Crown Minerals, Petroleum Report Series, PR4890 , 77 pp (downloadable from http://nzpam.govt.nz). Ghisetti F., Mingard H. & Greaves S. (2014) - The ups and downs of the Cape Egmont Fault: the influence of syn-rift structure on multi-stage fault reactivation, Taranaki Basin, New Zealand. Advantage NZ: Geothechnical Petroleum Forum 2014, Wellington, April 2-3 2014. Ghisetti F.C. (2014) - Structural Analysis of the McKee Overthrust in the Kewa Prospect. Ministry of Economic Development-Crown Minerals, Petroleum Report Series, PR5308 , 24 pp + Appendix (downloadable from http://nzpam.govt.nz). Ghisetti F.C. (2015) - PEP57068 - Tectono-stratigraphic Framework of the Murchison Basin (Presentation). Ministry of Economic Development-Crown Minerals, Petroleum Report Series, PR5303 (downloadable from http://nzpam.govt.nz). Ghisetti F. & Vezzani L. (2002) - Normal faulting, transcrustal permeability and seismogenesis in the Apennines (Italy). Tectonophysics, 348, 155-168. Gresta S., Ghisetti F., Privitera E. & Bonanno A. (2005) - Coupling of eruptions and earthquakes at Mt. Etna (Sicily, Italy): a case study from the 1981 and 2001 events. Geophysical Research Letters , 32, doi:10.1029/2004GL021479. Sibson, R.H. & Ghisetti F. (2010) - Characterising the seismic potential of compressional inversion structures, NW South Island. Earthquake Commission Research Paper # 3760. Ghisetti F. (2010) - Active faulting during positive and negative inversion: Examples from New Zealand and Italy. G-COE Symposium, "Dynamic Earth and Heterogeneous Structure, Tohoku University, Sendai, Japan, July 2010. Sibson R., Ghisetti F. & Ristau, J. (2011) - "Stress control of an evolving strike-slip fault system during the 2010-2011 Canterbury, New Zealand, earthquake sequence. Seismological Research Letters , 82, 824-832. Sibson R.H., Ghisetti F.C. & Crookbain, R.A. (2012) - Andersonian wrench faulting in a regional stress field during the 2010-2011 Canterbury, New Zealand, earthquake sequence. Geological Society of London Special Publication , 367, 7-18. Ghisetti F. & Sibson, R. (2012) - Compressional reactivation of E-W inherited normal faults in the area of the 2010-2011 Canterbury earthquake sequence". New Zealand Journal of Geology and Geophysics , 55 (3), 177-184. Ghisetti F., Barnes P.M. & Sibson, R. (2014) - Deformation of the Top Basement Unconformity west of the Alpine Fault (South Island, New Zealand): seismotectonic implications. New Zealand Journal of Geology and Geophysics , DOI: 10.1080/00288306.2013.876433. Horiuchi S., Okada T., Iio Y, Sibson R. & 17 others (including Ghisetti F.) (2014) - Three-dimensional seismic velocity structure beneath northern part of South Island, New Zealand from dense seismic observation. Poster presented at Symposium: Geofluid 3 - Nature and Dynamics of Fluids in Subduction Zones, Tokyo Institute of Technology, Ookayama, Japan, Feb. 28-March 3, 2014. Lee R.L., Bradley B.A., Ghisetti F.C., Pettinga J.R., Hughes M.W. & Thomson E.M. (2015) -A geology-based 3D seismic velocity model of Canterbury, New Zealand 2015 NZSEE Conference Paper O-63, pp.570-577. Barnes P.M., Ghisetti F.C., & Gorman A.R. (2016) - New insights into the tectonic inversion of North Canterbury and the regional structural context of the 2010-2011 Canterbury earthquake sequence, New Zealand. Geochemistry, Geophysics, Geosystems , DOI: 10.1002/2015GC006069. Barnes P.M. & Ghisetti F.C., (2016) -Structure, late Quaternary slip rate and earthquake potential of marine reverse faults along the North Westland deformation front, New Zealand. New Zealand Journal of Geology and Geophysics, Special Issue in memory of J. Beavan , 59 (1), 157-175. DOI: 10.1080/00288306.2015.1112816. Ghisetti F., Sibson R.H. & Hamling I. (2016) - Deformed Neogene basins, active faulting and topography in Westland: Distributed crustal mobility west of the Alpine Fault transpressive plate boundary (South Island, New Zealand. Tectonophysics , DOI:10.1016/j.tecto.2016.03.024 693, 340-362 (Special issue on Tectonics of oblique plate boundary systems). Lee R.L., Bradley B.A., Ghisetti F.C. & Thomson E.M. (2017) - Development of a 3D velocity model of the Canterbury, New Zealand, region for broadband ground-motion simulation. Bulletin of the Seismological Society of America ,107 (5), 2131-2150, DOI: 10.1785/0120160326. Barnes P.M.,Ghisetti F.C., Ellis S. & Morgan J.K. (2018) -The role of protothrusts in frontal accretion and accommodation of plate convergence, Hikurangi subduction margin New Zealand. Gepsphere, Theme Issue Subduction Top to Bottom 2 , 14 (2), 157-175. DOI: 10.1130/GES01552.1. Sibson R.H., Ghisetti F.C. (2018) - Factors affecting the assessment of earthquake hazard from compressional inversion structure. Bulletin Seismological Society of America, doi: 10.1785/0120170375. Some maps are now geo-referenced and available for download in Francesca Ghisetti page on Research Gate. Various Authors (including F. Ghisetti) (1979) - Carta Geologica del Monte Etna. L.A.C., Florence, Scale 1: 50,000. 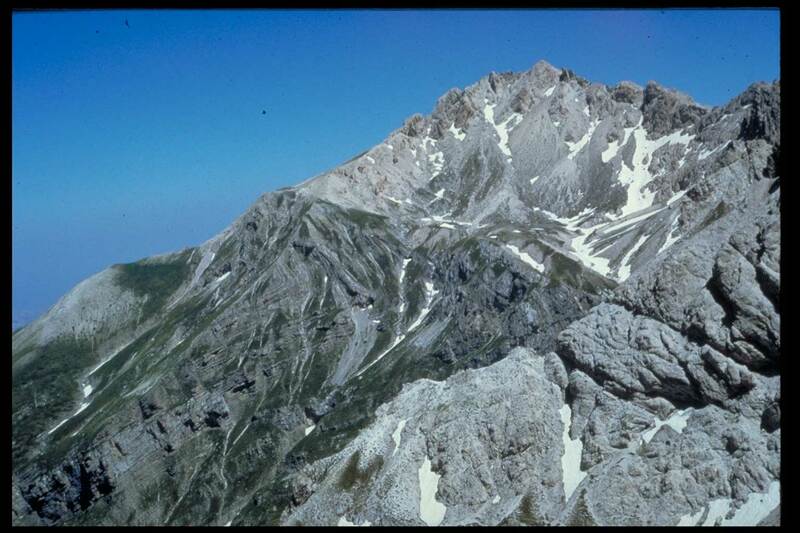 Ghisetti F. & Vezzani L. (1983) - Structural Map of Mount Pollino (Southern Italy). S.EL.CA, Florence, Scale 1: 50,000. Atzori P., Ghisetti F., Pezzino A. & Vezzani L. (1983) - Carta Geologica del Bordo Occidentale dell'Aspromonte S.EL.CA., Florence, Scale 1: 50,000. Ghisetti F. & Vezzani L. (1986) - Carta Geologica del Gruppo M.Siella-M.Camicia-M. Prena-M. Brancastello (Gran Sasso d'Italia, Abruzzo). S.EL.CA., Florence, Scale 1: 15,000. Progetto Finalizzato Geodinamica (Ambrosetti P., Bartolini C., Bosi C., Carraro F., Ciaranfi N., Ghisetti F., Papani G., Vezzani L., Zanferrari A. & Zitellini N.) (1987) – Neotectonic Model of Italy. C.N.R., L.A.C., Florence, Scale 1: 1.500,000. Progetto Finalizzato Geodinamica (Ambrosetti P., Bosi C., Carraro F., Ciaranfi N., Panizza M., Papani G., Vezzani L.& Zanferrari A., with the cooperation of F. Ghisetti) (1987)- Neotectonic Map of Italy, Sheet 6 (Calabria meridionale e Sicilia). L.A.C.,Florence, Scale 1: 500,000. Ghisetti F. & Vezzani L. (1990) - Carta Geologica del Gran Sasso d'Italia da Vado di Corno al Passo delle Capannelle. S.EL.CA, Florence, Scale 1: 25,000. Vezzani L., Casnedi R. & Ghisetti F. (1993) - Carta Geologica dell'Abruzzo nord-orientale. S.EL.CA, Florence, Scale 1: 100,000. Vezzani L. & Ghisetti F. (1998) -Carta Geologica dell'Abruzzo,Sheets 1 and 2. S.EL.CA., Florence, scale 1: 100,000. Vezzani L., Ghisetti F. & Festa A. (2004) -Carta Geologica del Molise. S.EL.CA , Florence, Scale 1:100,000. Vezzani L., Festa A. & Ghisetti F. (2010) - Geological-Structural Map of the Central-Southern Apennines. 2 Sheets, Scale 1: 250,000. Available in digital format with the GSA Special Paper 469.